Given one hundred years I could not capture but a sliver of the majestic beauty of Iceland. Among the ruins of an old cottage in the midst of pasture, was this vine. Nature has slowly been reclaiming, in a way re-skinning this cottage. There is a beautiful dance of destruction and creation in every moment. After returning from my first trip to Europe I came home to a country where everything was new, there was not the sense of history that I experienced overseas. The Native Americans treaded so softly, that there is hardly a trace of their existence to be found aside from the names of places, that could be an entire blog post unto itself. There was a strange beauty I found in the old mill sites. The crumbling foundations, and flowing water always left me intrigued. There was some esoteric purpose to the ruins that I can only imagine. 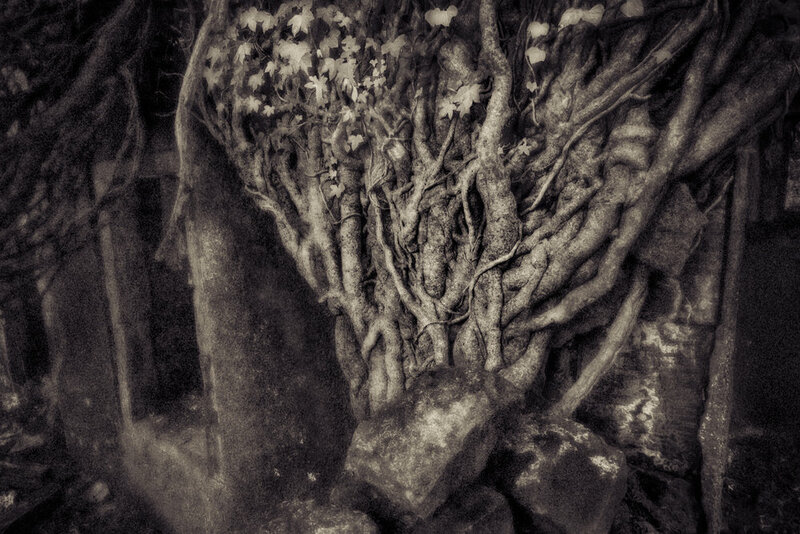 I love the vines and moss overtaking the stonework, and the water choosing it's course through the remains. Words fail me to describe the haunting beauty I find in these sites. Lindsey and I were in NYC for a weekend, and while visiting the MET we came across the collection of Hudson River School painters. Amazing paintings that part of me felt had to be imaginary, or at least partially invented. So on our way home we took a detour up the Hudson and visited Kaaterskill Falls to find out much reality was put into the paintings. It was a short hike to the base of the lower falls, and another shorter but steeper hike up to the base of the second falls. From paintings and images I saw what I assumed was a view peering out of a cavern to view the falls. As we approached the rim I was looking all over trying to find the cavern. Instead of enjoying this amazing place as it was, I had thoughts that we needed to find the trail that would take us to the cavern. Finally I had enough sense to just stay present, and explore the place as it was, not as I imagined it. Walking around for half an hour or so, we eventually walked under the lip of the cliff to see the falls from the back, and I realized that the whole time my "cavern" was right in front of me. A hollow under the lip allowed a view where the cliff, and the path formed an aperture of rock resembling the mouth of a cavern. It was an ocular shaped feature that now I can not help but see as an eye, with a waterfall in the corner instead of tears. I can imagine myself being determined that there was a higher falls with that otherworldly rock feature I was looking for. It wouldn't really be too far fetched to think of myself walking right past the actual upper falls, and hiking the little dirt path to the left to find my imaginary falls. I can always imagine there must be something better around the corner, or I can enjoy the good things right in front of me. Sometimes what is in front of me is amazing, and I am just not seeing it. Despite the scars our culture has left, life continues and adapts. Someday there will be nothing left of the mill. Until that day there exists a beautiful harmony between the ruins of our past, and the natural reclamation of the present.